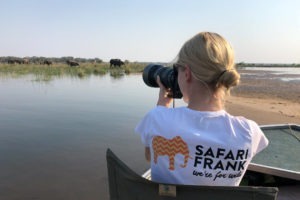 "Join a team member of safariFRANK in the Lowveld for an incredible week of safari in Nov 2019"
This Kruger Safari allows you to experience the best of South Africa’s premiere park alongside a German speaking tour leader (Stephanie, team member of safarifFRANK) in private and secluded camps, specifically selected to make the experience more intimate, private and breath-taking. This gets you away from all the other tourists and truly immersed in the wilderness experience. South Africa is the country Frank was born and partly raised. 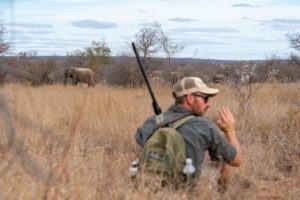 The Kruger National Park and its surrounding reserves are where Gesa and Frank did their training and is where they spend most of their time. 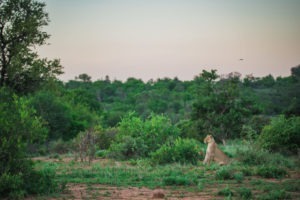 It boasts a huge biodiversity and healthy numbers of all the big 5 and much more. 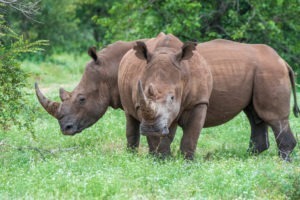 The Timbavati and Klaserie reserves form part of what is known as the Greater Kruger National Park and are unfenced to the park allowing for natural animal movements. The experience of a walking trail for 4 days with one of Gesa’s trails mentors will truly bring you back to nature! The climate varies seasonally but remains fairly predictable. Days are warm to hot and nights are generally cooler. Except for the first few months of the year, the country is generally without much rain. We will be travelling towards the start of the rain season when vegetation starts to get green, perfect for photographs. 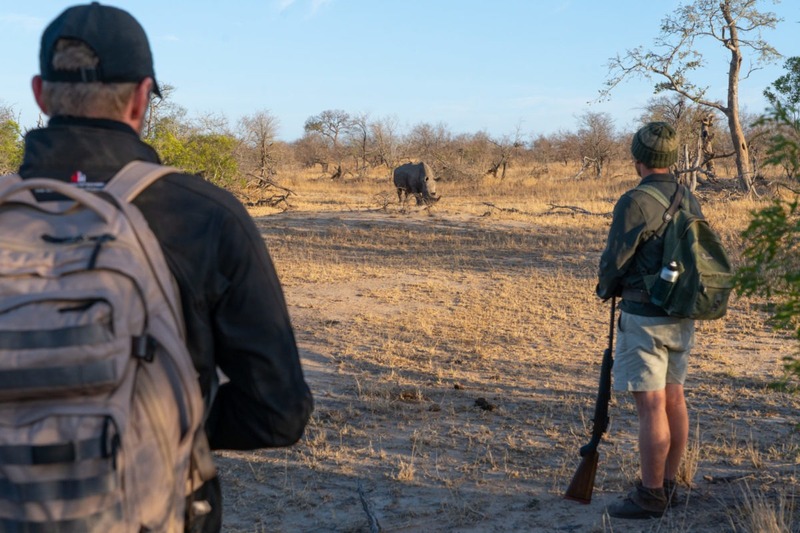 The warmer temperatures also make night-time viewing much more comfortable and accessible, which is one of the biggest bonuses of the private reserves and concessions. 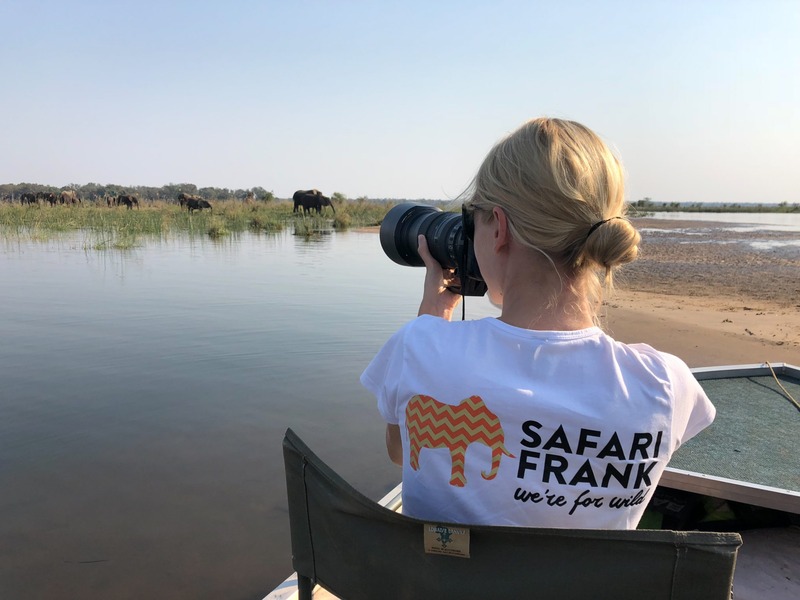 Travel with Stephanie, team-member of safariFRANK (German-speaking tour leader) to Frank’s and Gesa’s favourite places around the Kruger Park! Four days walking trail with Wayne or Brandon, Gesa’s mentors! A real wilderness experience! The chance to view the entire big 5 and Painted Wolves (Wild Dogs) & it’s the time of arrival of migratory birds! Stunning views at Angela’s camp. Memorable and exciting privately guided activities in wilderness areas! Night time viewing of nocturnal animals! Stay in private camps in some of the more remote wildlife areas of South Africa. Day 1 Arrival in Eastgate Airport and transfer to Angela’s Safari Camp. Day 2 Game viewing activities in the Klaserie Private Nature Reserve. Day 3 Transfer to Lowveld Tented Camp and start of Wilderness Trail. 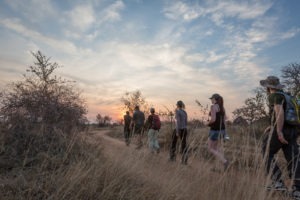 Day 4 &5 Game viewing activities by foot in the Timbavati Nature Reserve with one of Gesa’s Trails Mentors. Day 6 Transfer to Bateleur Main Camp. 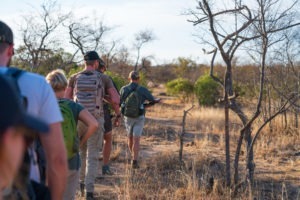 Day 7 Game viewing activities in the Timbavati Nature Reserve. Day 8 Transfer back to Eastgate Airport, Hoedspruit. On arrival into Hoedspruit Airport, disembark and collect your luggage. You will be warmly greeted in the arrival hall and assisted with your luggage. Transfer to Angela’s Safari Camp. 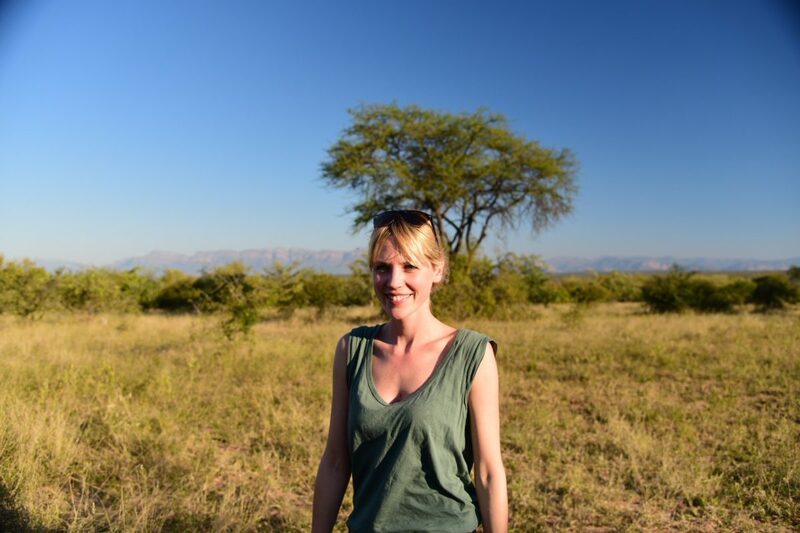 On arrival at Angela’s Safari Camp, check in and spend two nights. 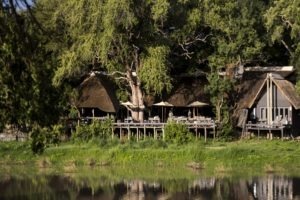 Simply put, the most stunning view of any camp we have come across in the Greater Kruger. Set up on a high point along a bank of the Klaserie River, the rim flow pool area offers a 180-degree view of wilderness where one can relax and watch animals come and go. With incredibly friendly and professional staff, the camp has a casual luxury setting. It feels as though you are at home in the bush. The dining experience here is some of the best in the region as huge emphasis is put on having top chefs that are masters of food presentation and preparation. There is plenty of emphasis on guiding standard and the guides are free to traverse large areas with very little traffic, if any, from other operators in the area. It’s your own little slice of unfenced wilderness to explore and search for all creatures big and small. The area is home to healthy populations of all big 5 members and occasionally, if you are lucky, Painted Wolves (Wild Dogs). Not to mention the birding, along the few kilometres of river frontage, is particularly impressive. Head out in the afternoon for your first game drive. 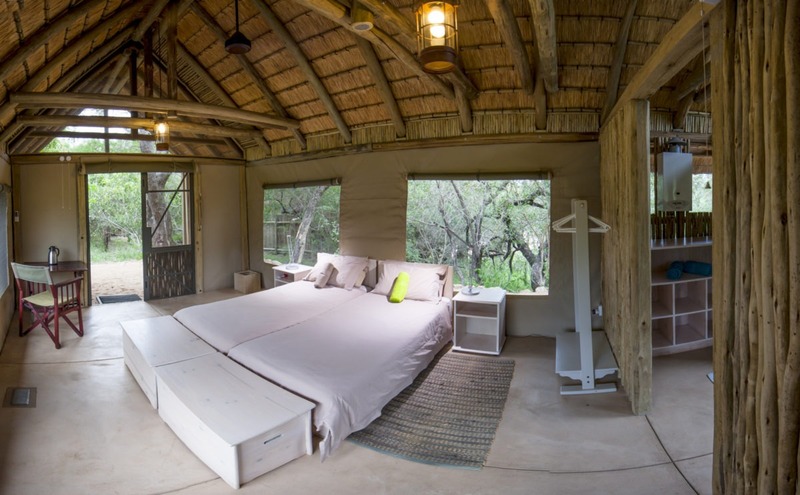 Situated on the northeastern edge of South Africa, Klaserie Private Game Reserve forms part of the Greater Kruger National Park. 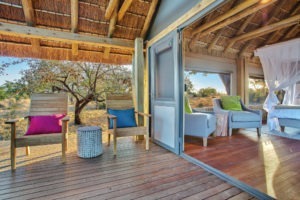 It is one of the largest privately owned reserves in the country comprising 60 000 hectares of seemingly endless plains of unspoilt African bushveld. 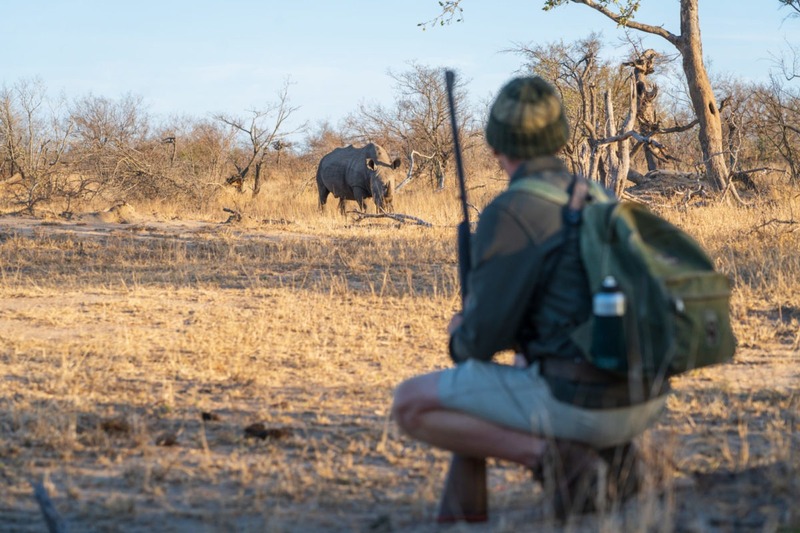 This scenic wilderness sanctuary is home to the renowned ‘Big Five’ as well as an impressive array of wildlife including: African elephant, black and white rhino, buffalo, Painted Wolves, lion, leopard, and an abundance of buck. 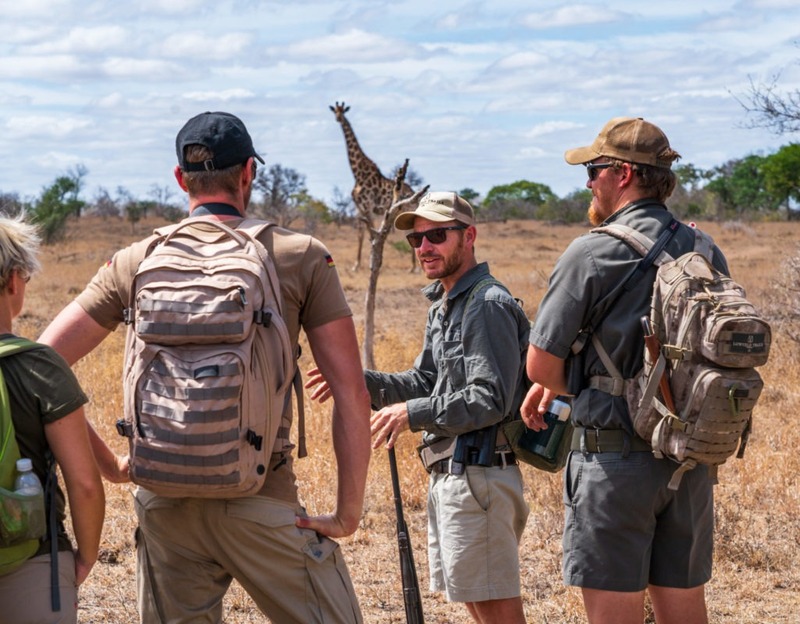 Visitors can look forward to enjoying a variety of outdoor activities such as guided walking safaris, game drives, and thrilling wildlife tracking excursions. 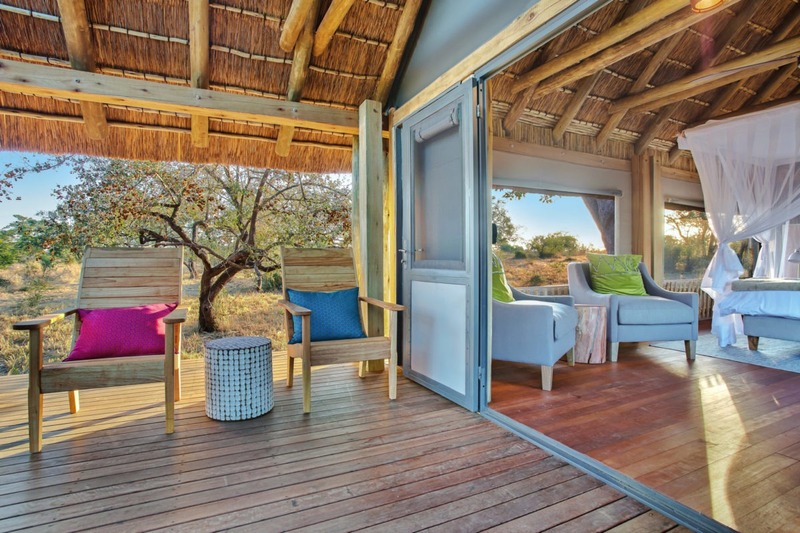 The reserve is known for its incredible birdlife boasting over 500 species including the endangered Southern ground hornbill and the white-backed vulture. After your game drive and breakfast, it will be time to check out and transfer to the next camp, Lowveld Trails. 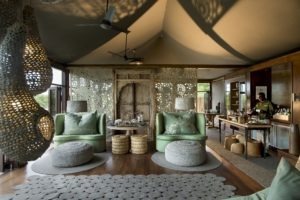 The Tented Camp is operated out of the central Timbavati Private Nature Reserve, which is open to the Kruger National Park. 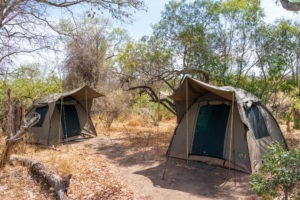 This basic unfenced camp is erected under giant Jackalberry trees along a dry riverbed prior to each trail and completely removed upon departure, assuring minimum impact and therefore leaving no-trace. There is no electricity, mobile phone signal or WiFi, but we trust that you’ll find a strong connection. Canvas dome tents house two trailists each. A mattress and pillow is provided, so bring along your sleeping bag and required bedding. The camp communal area is around the campfire or at the kitchen area where wholesome meals are whipped up on a gas cooker and an open flame. Ablutions are simple, yet unmatched. Specially designed seats stoop over pit-fall toilets while bush showers, covered by canvas, hang from trees and open onto splendid views of the surrounding bush. A typical day starts with a wake-up call prior to sunrise. As the birds announce the approaching day, we enjoy coffee and rusks before heading out on a 4 to 5 hour walk, as soon as sufficient daylight allows. We return to camp around midday for a well-earned brunch, before the daily debrief and a few hours free to shower, read or take a nap. A late lunch is served at around 3pm, before we head off into the wildness again for a 2 to 3 hour walk. Dinner and a crackling campfire awaits back at camp, usually followed by an open air shower and an early night after an eventful  day. In the morning we set off at first light after a snack of biscuits and coffee or tea. 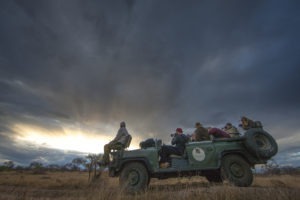 Enjoying the brisk air from the open safari vehicles we go in search of the plains game, herds of buffalo and elephant, the endangered rhinos, the spectacular big cats, and the occasional packs of Painted Wolves that frequent the area. Breakfast is enjoyed back at the game lodge and then there is time to unwind and siesta during the heat of the day, making use of the swimming pool and central relaxation area or your comfortable safari unit. After a light lunch it is time to head out amongst the wildlife again. In the afternoons we set off after the main heat of the day when the animals become more active, following a similar procedure to the morning drive for the remaining hours of daylight. Close to sunset we stop at a scenic location where we’ll have sun downers while enjoying a stunning African sunset. We then climb aboard the open safari vehicle and go in search of the nocturnal creatures – as the diurnal animals and birds anxiously get ready for bed, the stage and sounds change and a whole new world awakens. Back at the main camp a hearty supper and a warm campfire will be waiting for you where stories are exchanged. 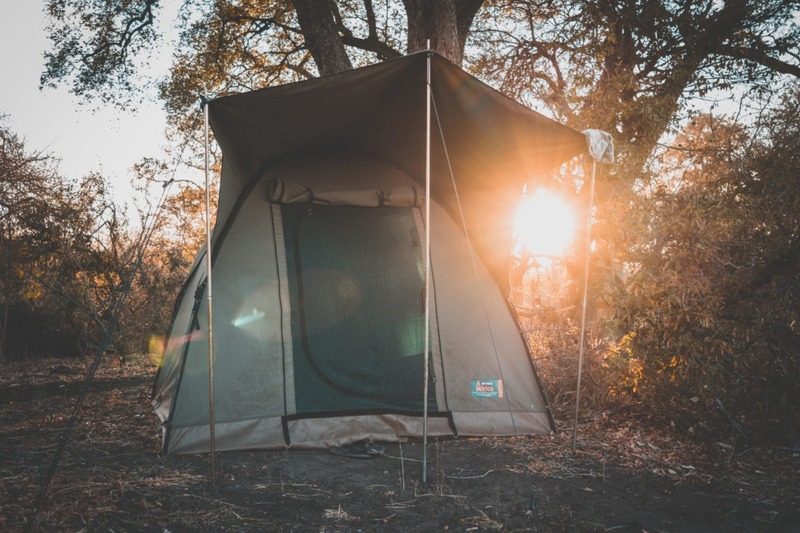 After a long day in the bush there is nothing more rewarding than to lie in your comfortable bed and listen to the sounds of the night under a blanket of the overwhelming African stars! 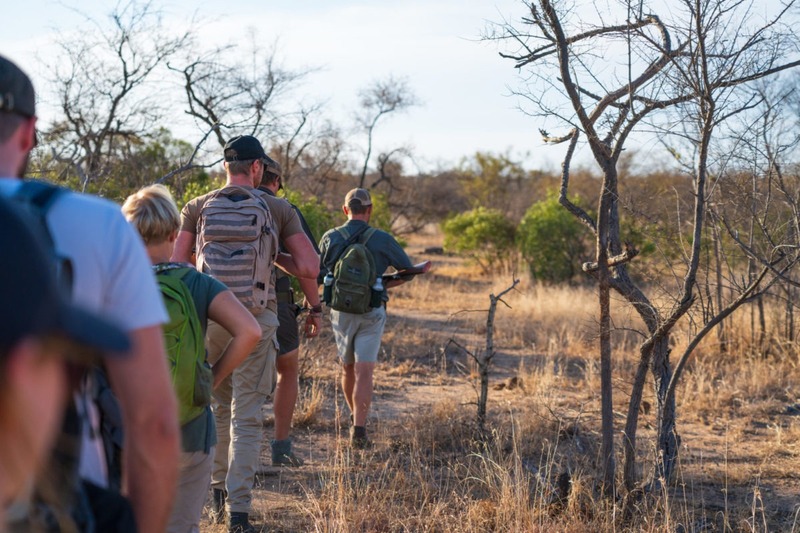 Set off at first light for your final guided game drive – appreciating the typical scents and sounds of the bush you’ll realise how much you’ve learned already! After breakfast back at the main camp it’s time to pack up and transfer back to Hoedspruit Airport. 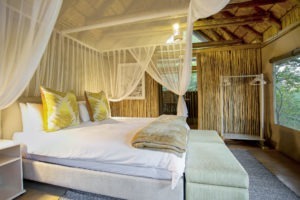 The accommodation for this trip is all in private safari camps. Each bedroom has the option of double or single beds. The camps are all very comfortable and have a feel at home vibe. 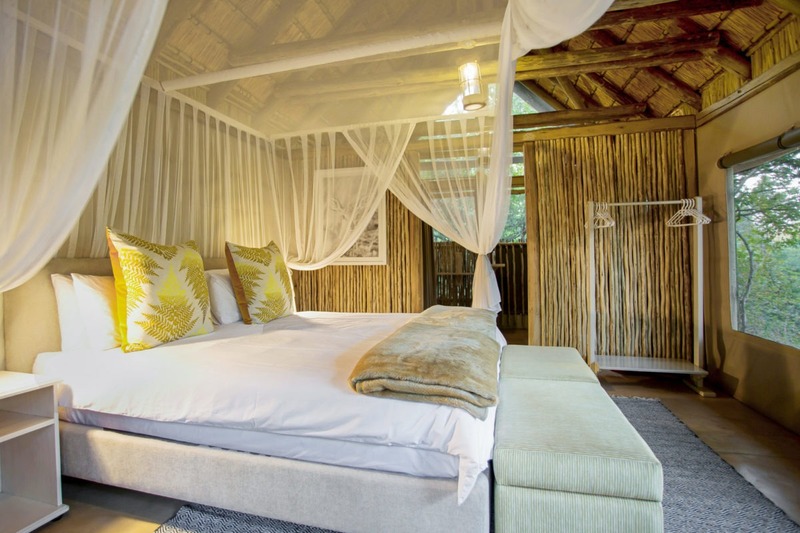 You also have access to the private pool in Angela’s Camp and Bateleur Main Camp. During the wilderness trail you will be staying in dome-tents (shared) with shared bush showers and toilets (2 per camp). These showers and toilets are very simple, with canvas walls for privacy. The trip is fully catered for regarding all meals. For drinks please refer to the “included” & “excluded” section. Receive a 2,5 % discount when paying in full upfront** see notes. Eastgate Airport and intra-camp transfers. Transportation in a safari vehicle. 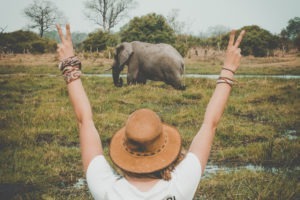 Two Game viewing activities per day. Local Brands Drinks at Angela’s Safari Camp. Water, tea, coffee during the walking trail. Soft Drinks at Bateleur Main Camp. 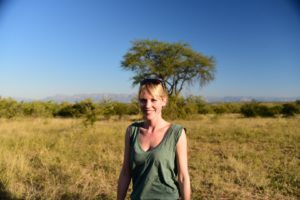 Services of a German Speaking Tour Leader as well as your personal safari guides. 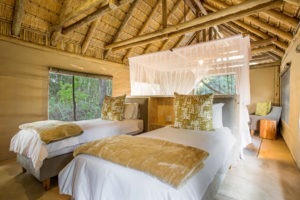 Pre and post safari extensions/accommodation. Other alcohol & spirits at Angela’s Safari Camp. Alcoholic drinks at Bateleur Main Camp. Any other drinks during the walking trail. This tour is priced on ZAR. The EUR price indicated above has been calculated with the exchange rate available at time of publication of this tour. safariFRANK reserves the right to recalculate the exchange rate at time of deposit and at time of rest payment due. Your invoice for the rest payment will be adjusted accordingly. Health: No vaccinations are mandatory but please consult your doctor for medical advice. 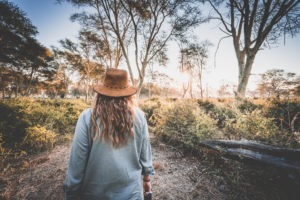 Parts of South Africa are considered to be malarial so we recommend the use of anti-malarial prophylactics (normally Malarone/doxycycline), especially if visiting during the summer (December to April) – subject to advice from your own doctor. Luggage: Is restricted to 15 kg (not including photographic equipment) per person in a soft, hold all type bag. 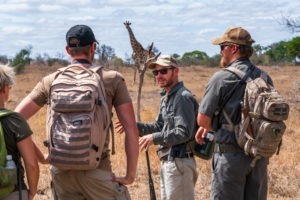 Weight is generally less important than volume as everything is carried with you on safari.